Protesters with the Poor People's Campaign occupy Governor Matt Bevin's office requesting a face-to-face on February 5, 2019. Protesters with the Poor People's Campaign rally outside Governor Matt Bevin's office on February 5, 2019. Demonstrators confronted Kentucky Governor Matt Bevin at the Capitol Tuesday, demanding action on issues ranging from racial justice to the rules governing access to the Capitol. Organizers estimate around a hundred protesters with the Poor People's Campaign and Kentuckians for the Commonwealth congregated outside Bevin's office, requesting a face-to-face with the governor. Their first goal: Roll back an "emergency regulation" placing new restrictions on Capitol visitors. The picketers claimed officials now consider any gathering larger than four people a "rally," which requires a permit. Demonstrator Adam Smith said the group hoped to press the executive on matters "from the biggest to the smallest, from racial disparities, racism, down to we should be able to access this house because it belongs to us, not them." 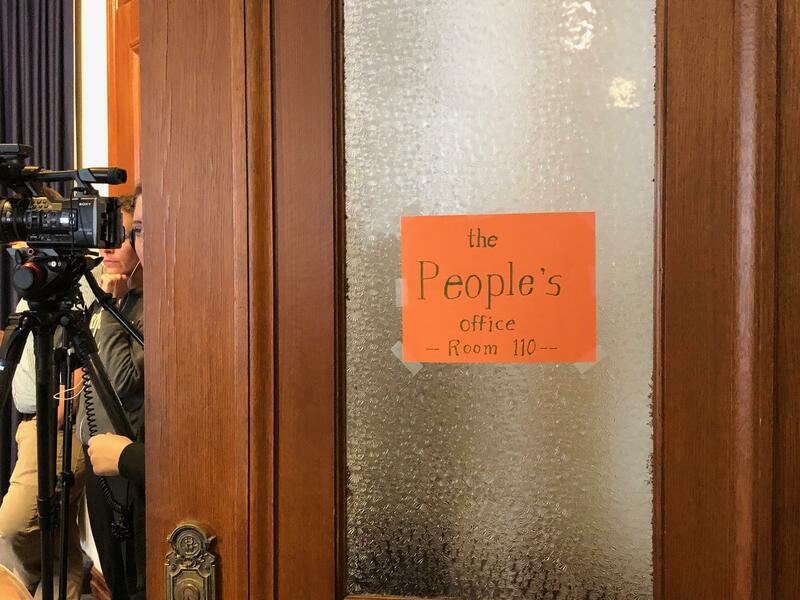 Demonstrators with the Poor People's Campaign rebrand Capitol Room 110, normally reserved for press conferences, as "The People's Office." And the governor responded, agreeing to sit down with the group in a room normally reserved for press conferences. There he heard often emotional pleas to reinstate voting rights for former felons, take action to prevent school shootings, and protect healthcare for low-income Kentuckians. "Remember me, governor? Remember me?" Serena Owen asked, breaking down as she described her young daughter's loss of mental health services. "She lost her healthcare because of racism." Owen said she personally approached the governor after he was elected, asking him to intervene on behalf of her now-13-year-old child. 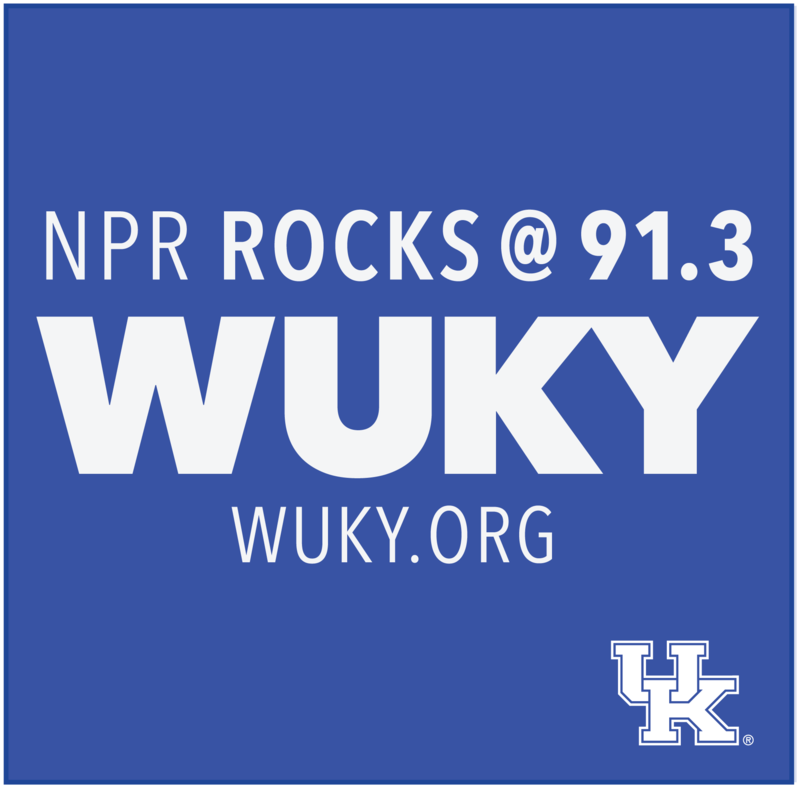 According to the Northern Kentuckian, her daughter, who has been suicidal, qualified for the Michelle P. Waiver. The home- and community-based Medicaid program serves people with "intellectual or developmental disabilities." After requesting a new worker on her daughter's case, Owen said she was denied access. "He knows he said we're family, but he doesn't treat us all like we're family," Owen later told reporters. 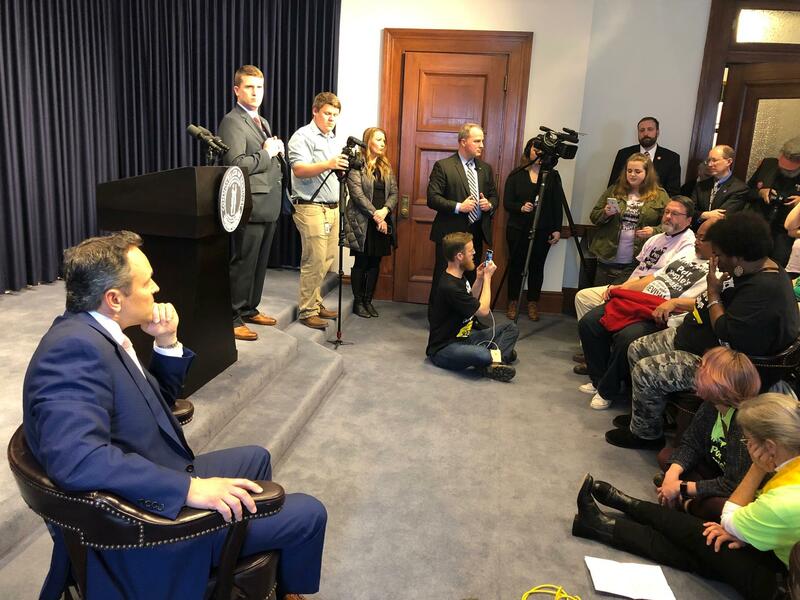 Governor Matt Bevin listens to protesters with the Poor People's Campaign during a sit-down on February 5, 2019. Seated across from the group, Bevin spent most of the sit-down listening, taking time to reiterate his support for expanded voting rights and thanking the audience. "Thank you for caring enough to be here," the Republican said. "Thank you for sharing what each of you have said." Pressed on his decision to rescind former Gov. Steve Beshear's executive order automatically restoring voting rights to non-violent felons who have served their sentences, Bevin said the legislature must make that change and put it before the voters. "We are only one of two states left in America where this exists and trust me I would be delighted to see this gone," he responded. "But the only people that can do it are the people that would vote to change the Constitution." The governor did not ultimately commit to changing the new access rules in Capitol, which defenders argue are necessary for safety reasons after emergency medical workers had difficulty reaching a lawmaker last year. Correction: A previous version of this story referred to a member of the Poor People’s Campaign as Selena Owen. The text should have read Serena Owen.